Not all games can be Mario & Sonic at the Olympic Games, but some can come pretty close. Crossovers can be very niche. Sometimes, developers release a good concept gone bad, such as Playstation Move Heroes, where good characters go to die. Other times, the world is blessed with a beautiful and indisputably flawless game that merges two universes into one immaculate dimension, setting the standard for all crossover games to come. Of course, not all games can be Mario & Sonic at the Olympic Games, but some can come pretty close. The latest installment in a long-reaching series, Marvel vs Capcom: Infinite (MVC:I) falls well into the latter case. Its stunning storyline, exciting characters, and innovative twists on such a familiar trope come together to form one genuinely brilliant crossover hit. The story presented in MVC:I is original and intriguing one. Set on the planet Xgard, an amalgam of Thor’s Asgard and Mega Man X’s Abel City, heroes from across the franchises meet on the battlefield, united in cause. A plot forged by Death and Jedah Dohma is thwarted by a rogue in their ranks. As a result, two antagonists unite and form an entity known as Sigma Ultron. It may be difficult to determine which villains went into the moniker of this combination, but their shared sinister goal is clear: to wipe out all biological life across the two merged dimensions. As the heroic forces push forward on several fronts, working to overthrow the synthetic forces that have been sent against them, crucial allies are lost, and surprising allies are found. 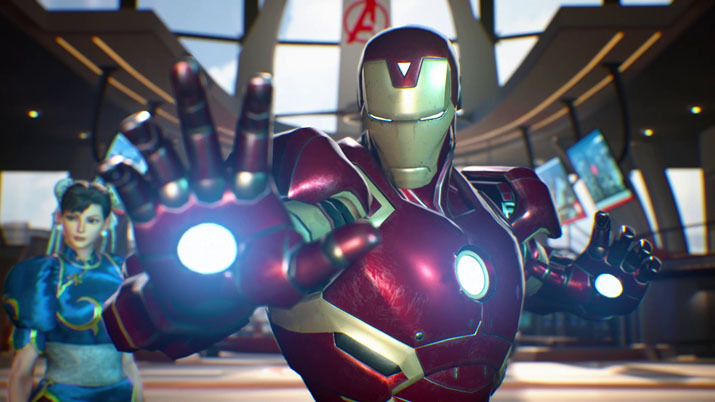 MVC:I sets a story into motion that instantly captivates any player and leaves them eager to find out what comes next. The story mostly progresses through its cutscenes, playing out like a cinematic with minigames. These scenes are immensely satisfying, ranging across a variety of diverse and engaging settings and providing interactions between characters that would elsewhere never meet. The camaraderie that emerges as these unlikely allies fight side-by-side fills fans of the franchises with glee and excitement. The scenes themselves are skippable, but there is realistically no reason to do so, as the hype that comes with watching them and the drive that carries over into the fights is largely the most thrilling aspect of the game. On the whole, MVC:I’s gameplay is equal parts intuitive, innovative, and invigorating, an entirely exciting installment in a long-successful series. MVC:I managed to provide even more familiar yet innovative thrills through the fights that make up the game. Abandoning the tag-team trios of previous games in the series, players are now given the ability to run into battle with a dynamic duo of their choosing. While this is a big deviance from the other installments in the game, arguably the most intense shake-up comes in the form of the Infinity Stones. Old hat to anyone familiar with Marvel properties, or even just the Marvel Cinematic Universe, these stones offer an exciting new element to the fighting mechanics. The stones, which as a whole are a major plot point in addition to a gameplay mechanic, each pertain to a separate power. Stones may be attached to a hero from the character select screen and provide them with new Infinity Surge and Infinity Storm abilities. This brings a potent new element into the series, as now even each individual character have a wide variety of gameplay available to them depending on which stone players decide to use. On the whole, MVC:I’s gameplay is equal parts intuitive, innovative, and invigorating, an entirely exciting installment in a long-successful series. While the game is thrilling in content, its character roster does leave something to be desired. Looking through the list of well-known names, it is hard not to get excited, but it is equally hard not to take note of the drastic lack of female characters among their ranks. Not only are the characters far from diverse in terms of gender, but some of the most exhilarating options are only available through DLC. Despite the lack of variety in these regards, the game does a marvelous job of pulling from all corners of the different franchises. Admittedly, the long-desired showdown between Maya Fey and Doctor Strange must wait for another time, but aside from that, the options available are exciting to any player. Whether it’s the household names known by all or the lesser-known heroes that may be unfamiliar to newer gamers, each hero is decidedly unique and guarantees a perfect fit for anyone who plays. The game has been exceedingly hot-or-cold, in terms of reception. It is hard to find a soul who has touched the game without forming a very drastic opinion one way or another, and, in reality, each of these arguments has their strengths. As is the case with most new releases, MVC:I is plagued with its fair share of bugs. Complaints of frame drops and stuttering have been as common as fixes have not been. Even when working precisely as intended, some find the graphics to be relatively lackluster, only borderline acceptable — for the expectations that had been set. Grievances have also been voiced regarding the story itself, claiming that it falls short in content, not fully following any of the threads it lays out. The character roster is also smaller than in previous games of the series, which many find to be a strange choice, as most games tend to progress towards a larger array of playable characters rather than a smaller one. 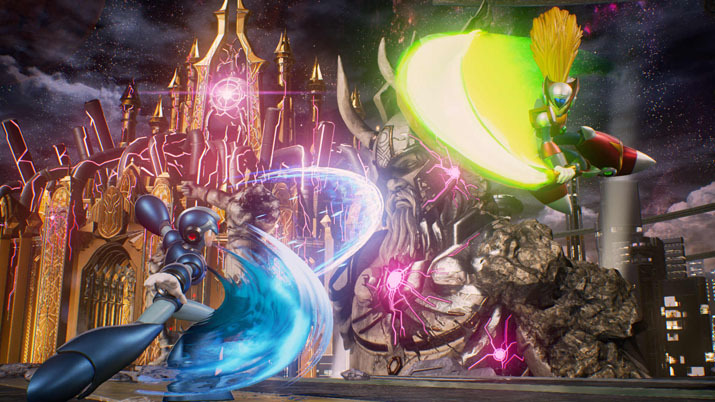 Regardless of these complaints, Marvel vs Capcom: Infinite proves to earn its place in the powerful series laid out before it. 2D fighters are a very familiar concept, with a rich history and a dense family of games taking after it. Often, these games can seem too generic to stand out or to feel worthy of any time given, but conversely, many of these games try too hard to make something of themselves, and result in a game far too complex and clunky to be enjoyed in any way. MVC:I, however, treads this line perfectly, proving itself an engaging and exciting experience born out of a classic style.